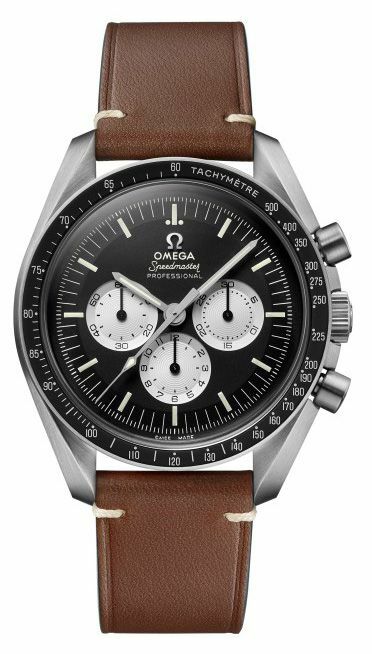 Celebrating the 5th anniversary of #SpeedyTuesday, this makeover of the 1978 Speedmaster “Alaska Project III” is anti-reflective and easy-to-read with a matte-finish case and large radial numerals on the subdials. 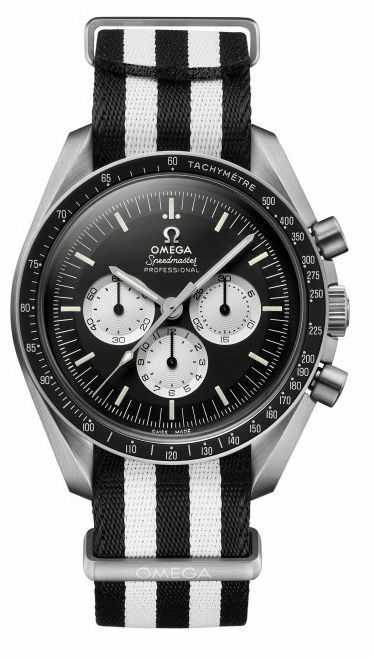 The "reverse panda" style sets white opaline silvery subdials against a black dial, encircled with a black aluminium bezel ring. 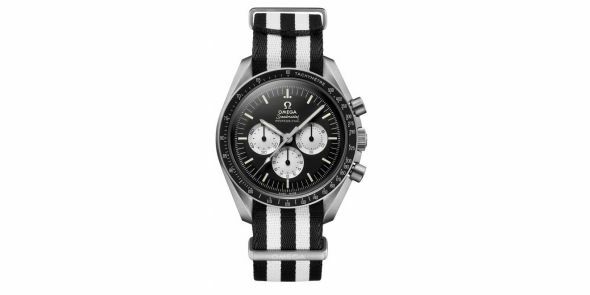 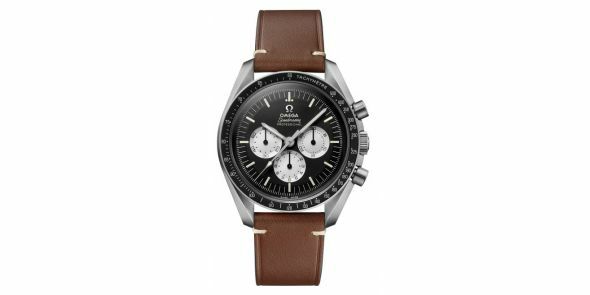 The applied vintage OMEGA logo is rhodium-plated, the hour markers coated with Super-LumiNova and all markings and subdials are coated with luminescent ink. 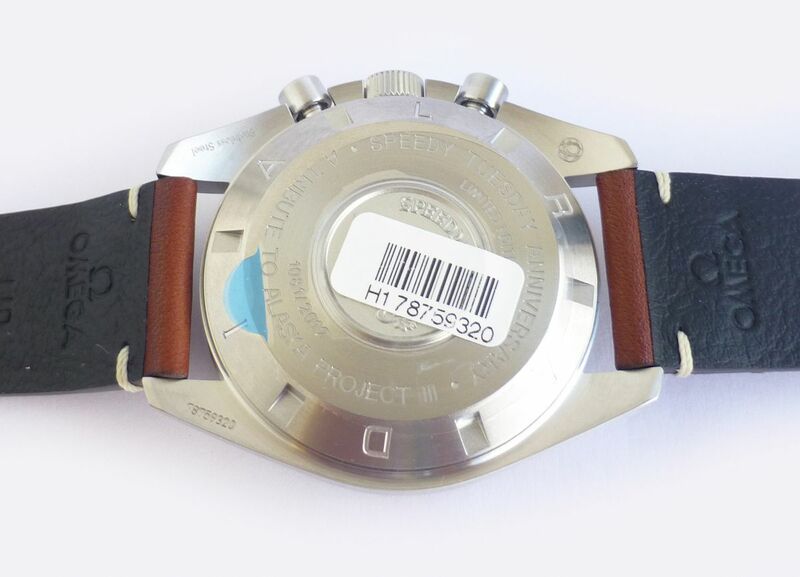 There is a central OMEGA logo on the domed hesalite crystal. 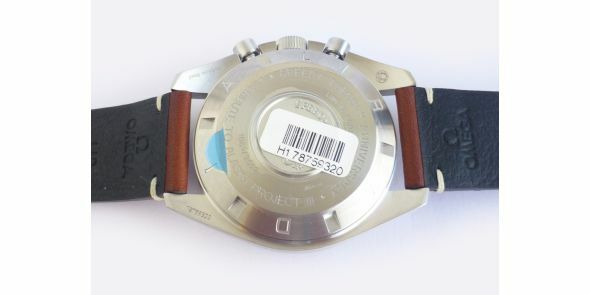 The screw-in caseback is encircled by the words SPEEDY TUESDAY ANNIVERSARY - A TRIBUTE TO ALASKA PROJECT III as well as the Limited Edition number (X/2012). 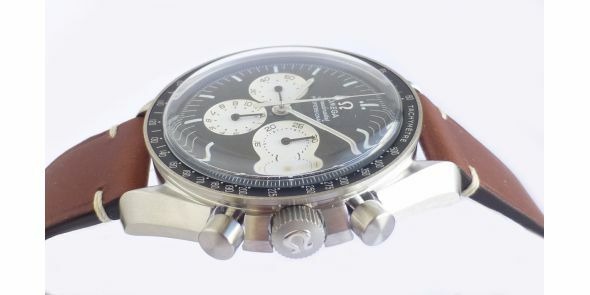 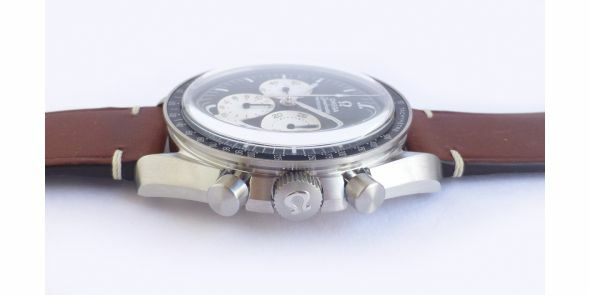 Circling the caseback is the word RADIAL. 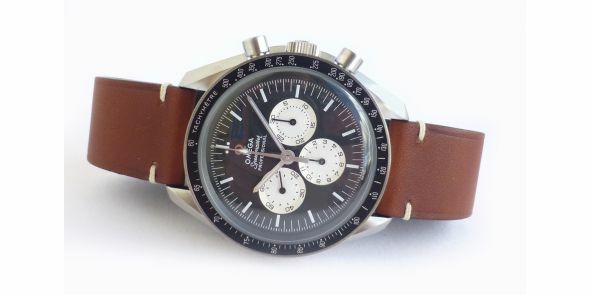 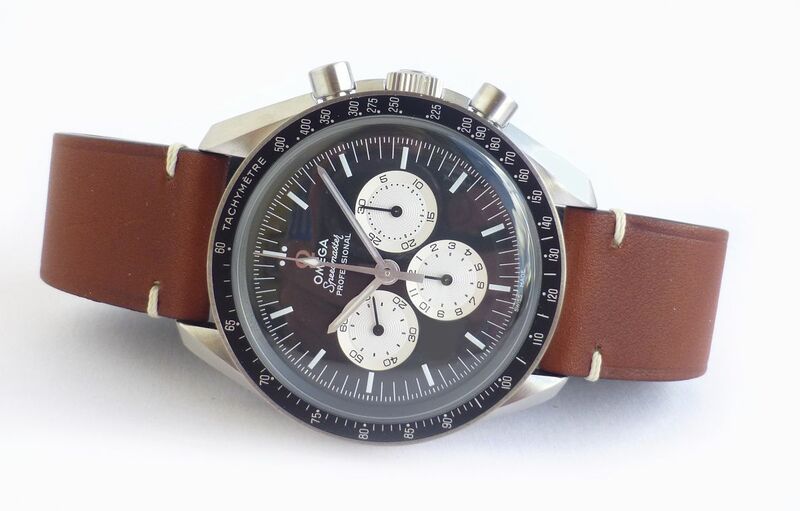 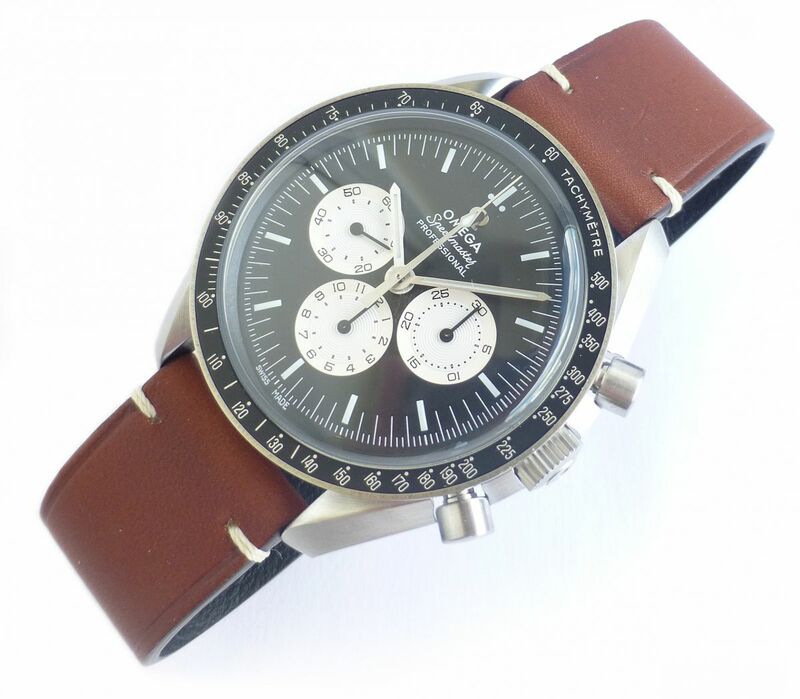 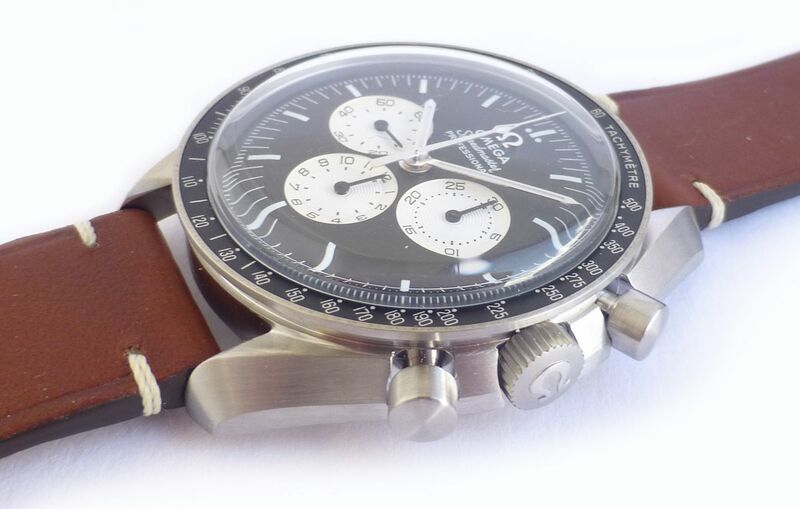 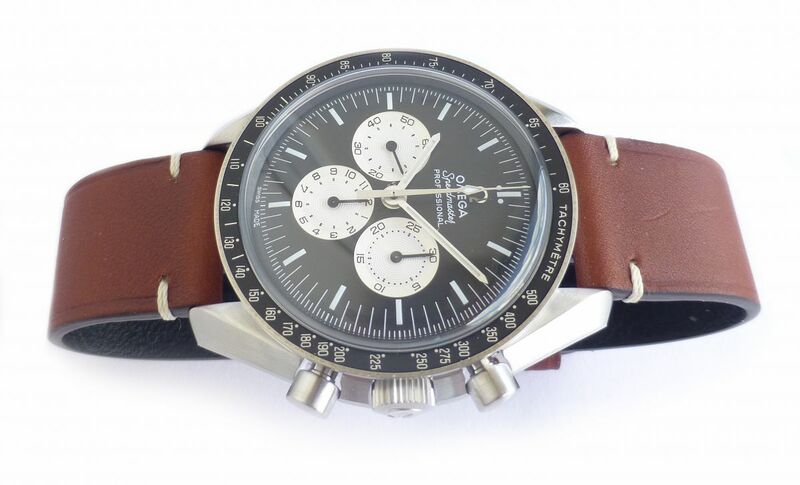 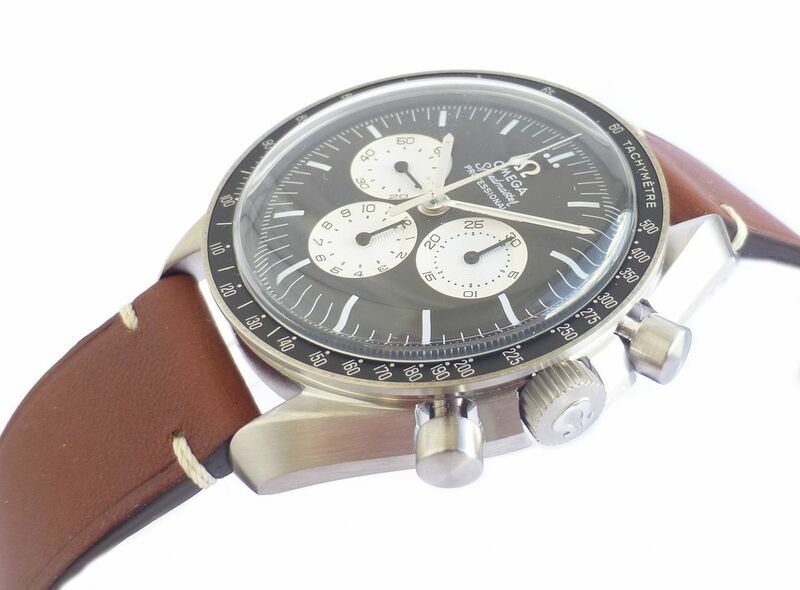 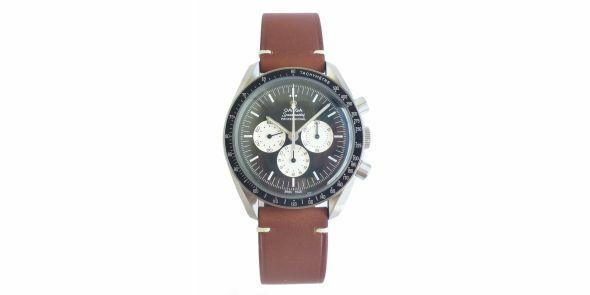 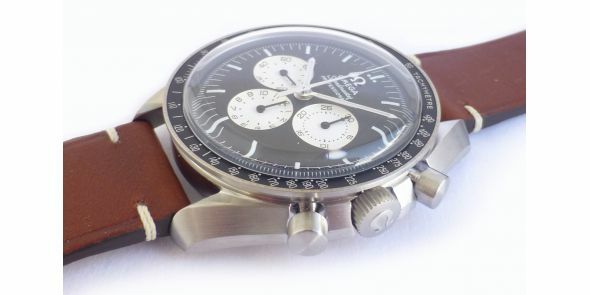 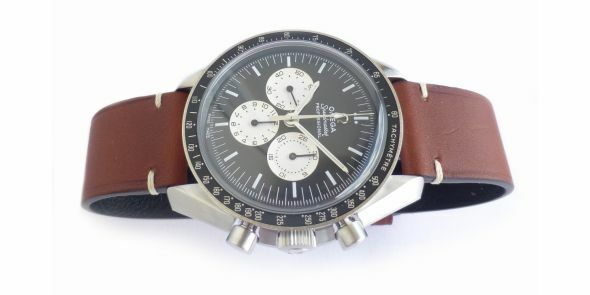 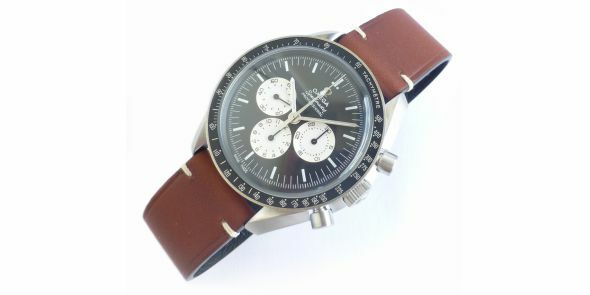 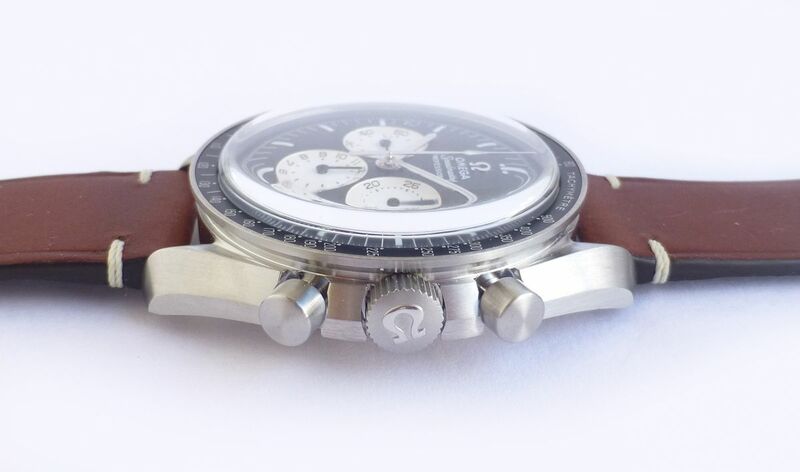 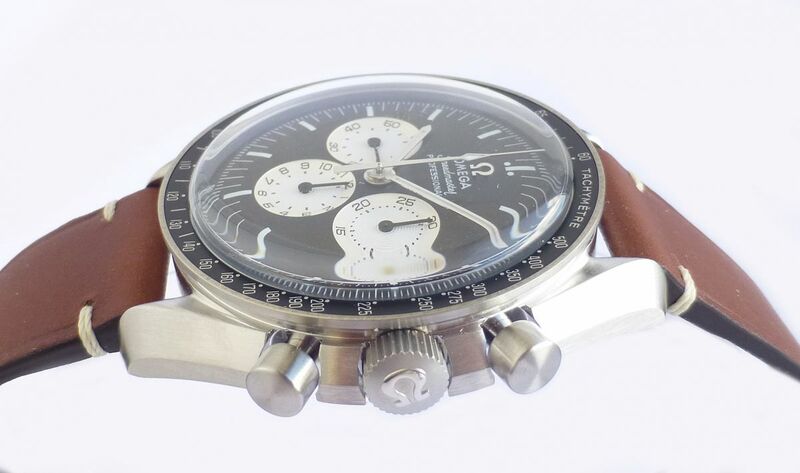 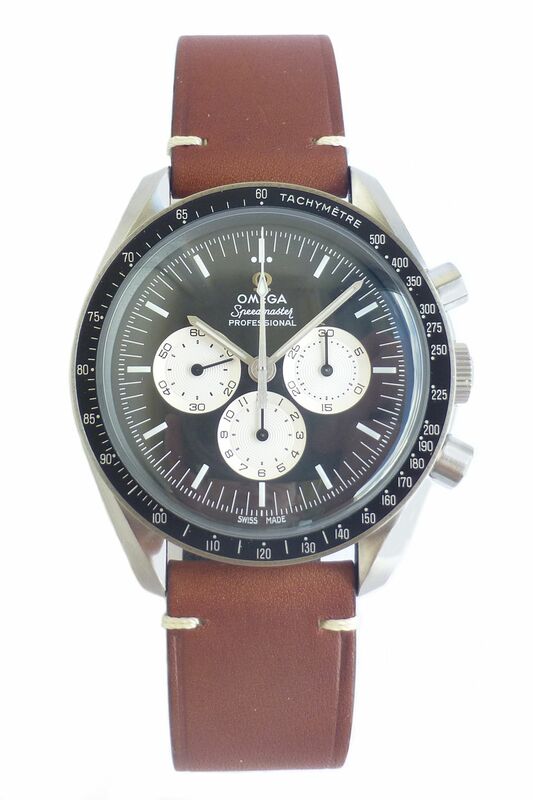 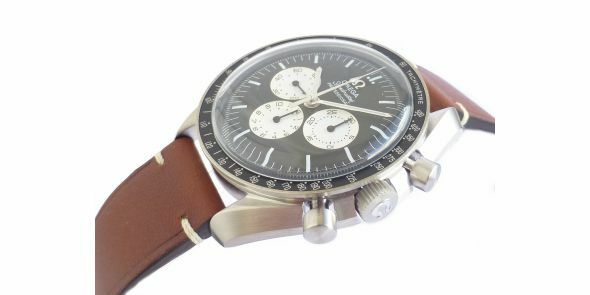 The watch has a vintage brown leather strap and is delivered in a special watch roll containing a spare NATO strap. 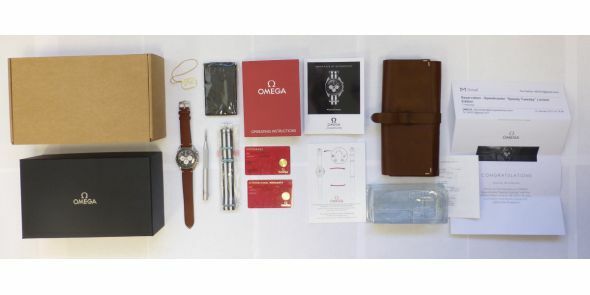 It is powered by the OMEGA calibre 1861.